Iowa City, Aug 8, 2018 / 10:46 am (CNA/EWTN News).- A Christian student group is suing the University of Iowa after being kicked off campus because it requires its leaders to be Christians. 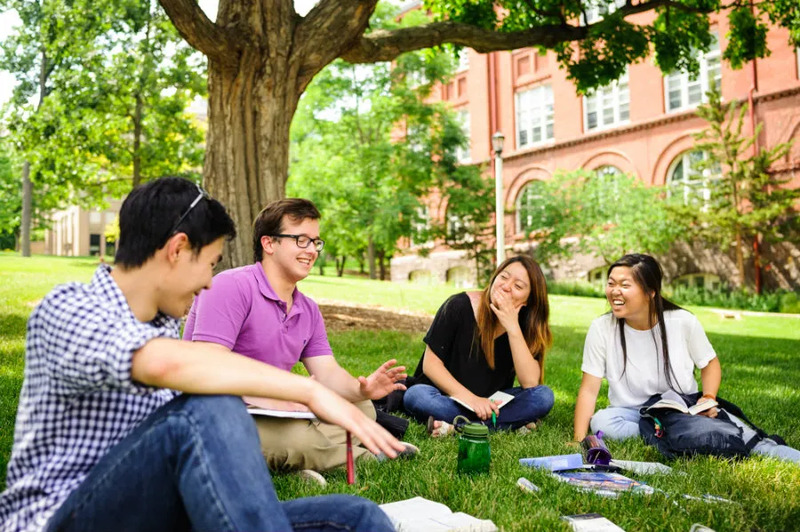 “Universities should allow students the space to form their own groups that challenge and grow their sincere beliefs,” said Daniel Blomberg, senior counsel at Becket, which is representing InterVarsity Christian Fellowship in its lawsuit. “Banning religious groups from having religious leaders just flattens diversity and impoverishes the campus,” he said in an Aug. 6 statement. InterVarsity Christian Fellowship was one of almost 40 student groups deregistered by the University of Iowa due to its religious leadership standards. Other groups expelled from campus include the Latter-day Saint Student Association, the Sikh Awareness Club, and the Chinese Student Christian Fellowship. InterVarsity Christian Fellowship/USA works to create Christian communities on college campuses. The organization encourages evangelization, Scriptural study and mission work. It hosts Bible studies, worship services, community discussions, and service projects. While it allows all students to participate as members, it requires leaders to embrace its mission of spreading the message of Christ on campus. “We’re grateful to have been part of the University community for 25 years, and we think that the University has been a richer place for having Sikh, Muslim, Mormon, Catholic, Jewish, atheist, and Christian groups,” said Katrina Schrock, student president of InterVarsity Graduate Christian Fellowship. In filing a lawsuit on behalf of InterVarsity, Becket says it hopes to have the group reinstated on campus by the upcoming academic year. The legal group also noted that although the University of Iowa found InterVarsity to be in violation of its non-discrimination policy, it exempted leadership restrictions set in place by sports clubs, fraternities, and political groups on campus. “If public universities really want to foster an intellectually diverse environment, this isn’t how to do it,” Blomberg said. Washington D.C., Jan 5, 2018 / 02:51 am (CNA).- It’s been a little over a year since the 2016 election that polarized the nation and left deep political divides among family and friends. Another election may be the last thing many Americans want to think about, but with midterm races just 10 months away, the already tense political rhetoric is about to become even more heated. This election season comes at a time of broad dissatisfaction with America’s major political parties. Harvard’s Institute of Politics recently found that only 29% of young Americans age 18-29 had a strong party affiliation. An NBC / University of Chicago survey found that just 26% of American adults said the Republican and Democratic parties are doing an adequate job representing the American people, while 71% said a third party is needed. What would a viable third party look like? Is a third party even possible, or is it more likely that we will see major party leaders scramble to recover eroding loyalties by redefining party values and principles? It’s always tough to predict what will happen in politics. 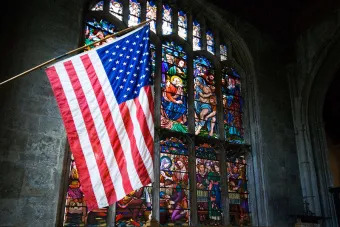 But since Catholics make up roughly 1 in 4 U.S. voters, they have a chance to shape the trajectory of existing and new political parties over the next few years. In order to do this, we first have to understand what the Church teaches about politics. What exactly is the nature and purpose of the state? Catholics on both sides of the aisle often claim that their party’s view of government embodies the vision of Christ. But is that true? In 1991, as the Soviet Union collapsed and the Cold War drew to a close, Pope John Paul II penned a momentous encyclical, Centesimus annus. In it, he reflected on another encyclical, Rerum novarum, the work by Pope Leo XIII that had laid out the foundations of Catholic social thought one hundred years earlier. The words of John Paul II have been echoed by his successors. Both Benedict XVI and Francis have had sharp criticisms for Marxism and for an “unbridled capitalism” that relies entirely upon the machinations of the free market, without recognizing the need for values that can only be upheld through intentional human action. In other words, it’s up to Catholics to work for the best solution we can in our current circumstances. What does it mean to put the Church’s social teaching into practice in 21st century America? It’s a complex question, but before we can even start proposing answers, we need to know what the Church’s social teaching is. What does it mean to say that the dignity of the human person “is the foundation of all the other principles and content of the Church’s social doctrine,” or to say that “society and the State exist for the family”? What are the principles of the common good, solidarity, and subsidiarity? What is the universal destination of goods and how does it relate to private property? What is the preferential option for the poor? Again and again, the bishops have clarified that it is not the Church’s role to tell people whom to vote for at the ballot box. Rather, the Church talks about issues and principles. To understand what the Church teaches about the issues – from abortion to migration – and to exercise the prudential judgment necessary to turn those ideas into policies, we must first understand the foundational principles. John Paul II describes the Church’s social teaching as “an indispensable and ideal orientation,” a viewpoint, and a framework on which to build. As we enter into what is certain to be a heated election year, why not make it a (belated) New Years Resolution to learn more about Catholic social teaching? Centesimus Annus is a great place to start. So is the Compendium of the Social Doctrine of the Church. To catechists, teachers, and members of the clergy: Why not resolve to teach the Church’s social doctrines more frequently, to help equip Catholics as they prepare to vote? Los Angeles, Calif., Aug 16, 2017 / 06:02 am (CNA/EWTN News).- The 100th birthday of Blessed Oscar Romero was a time for Los Angelenos to reflect on the martyred Salvadoran bishop’s virtues and how his vision can be made a reality today. “One hundred years after his birth, Blessed Oscar Romero still inspires us for his humility and courage – for his love for the poor and his witness of solidarity and service to others, even to the point of laying down his life,” Archbishop Jose Gomez said at an Aug. 13 Mass at Our Lady of the Angels Cathedral marking the centenary of Romero’s birth. Archbishop Oscar Romero of San Salvador, El Salvador was born Aug. 15, 1917. Amid El Salvador’s bloody civil war, the archbishop preached the importance of Christian love. At a time when government-aligned death squads would kill and abduct opponents of the government, he was a strong critic of government violence against the poor, human rights violations, and corruption, despite many death threats. He was assassinated March 24, 1980 while celebrating Mass in a hospital chapel in San Salvador. Right-wing death squads are suspected in his death. Pope Francis declared Archbishop Romero a martyr in February 2015, then beatified him in May 2015. There were three relics of the slain archbishop at the Mass in Los Angeles: the microphone he used to celebrate Mass at the San Salvador cathedral; an autographed photograph he gave to a woman religious who assisted him and was present the day he was murdered; and a piece of cloth with his blood from the day he was assassinated. Many Salvadorans were in attendance. The archbishop emphasized the need for “total confidence in God” despite times of troubles and trials, as in the Gospels when the apostles were at sea in a powerful storm. Even when they saw Jesus approaching on the water, they think he is a ghost. “We can get anxious about our future or worrying about the things in our lives, that we can think that God is not there for us. 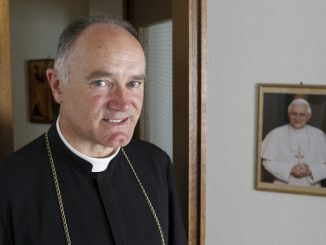 But he is,” said Archbishop Gomez. St. Peter was fine as long as he kept his eyes on Jesus, but began to sink when he thought about his human limitations and the storms around him. Despite the struggles and challenges Romero faced, he kept his eyes on Jesus Christ. 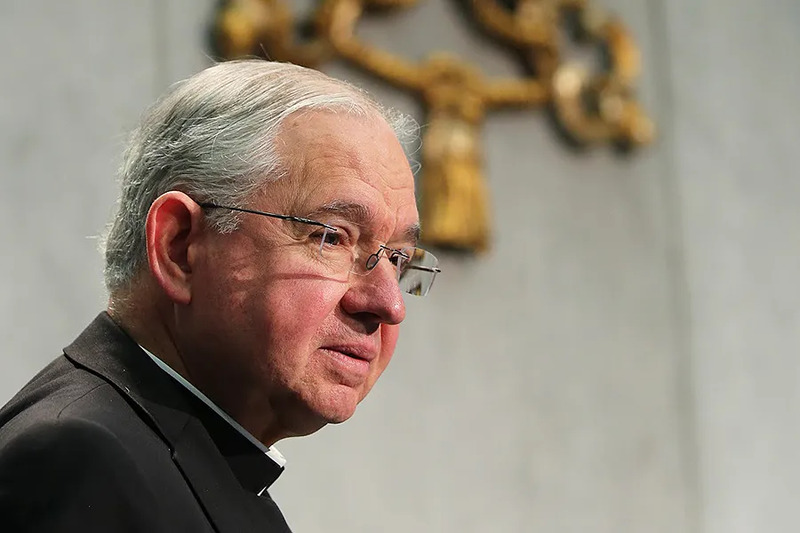 The archbishop voiced prayers for those in El Salvador who suffer violence, and those who live in poverty throughout Central America and Latin America, especially for those in Venezuela. Los Angeles, Calif., Dec 7, 2018 / 04:49 pm (CNA/EWTN News).- The Archdiocese of Los Angeles announced Thursday that it has updated its list of priests credibly accused of sexual abuse of minors.